i have several of these awesome bags, but the best thing to happen to my everyday life is the original baggu bag. 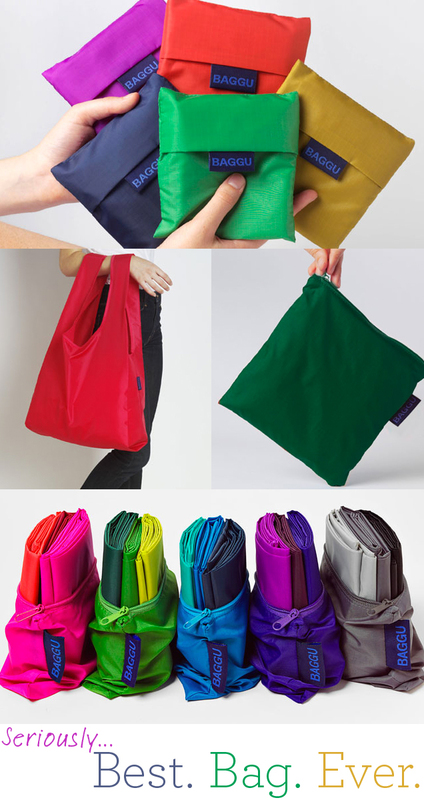 it folds up into a nice little square fits into ANY bag and is ready in super cute bright fun colors to give you a helping hand whenever you need one. these are great gifts. people will thank you for years to come.